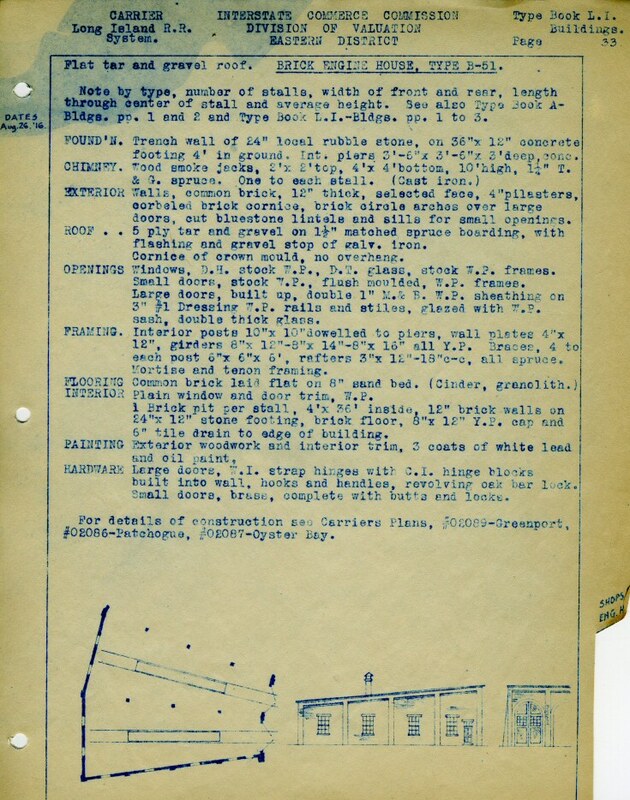 It's July 23, 1944, and WW II is still underway on two fronts. Wartime consciousness on the home front was very real and railroad photography was highly restricted, even to railroad employees themselves. 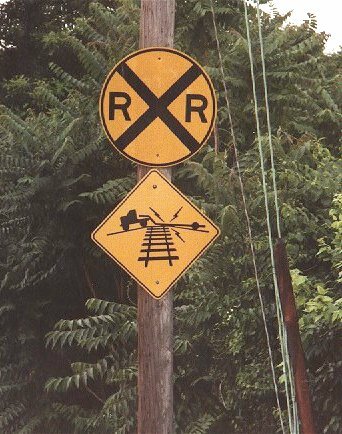 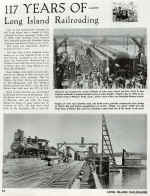 Some images were "illegally" shot but they are hard-to-find and many of the railfans and railroad men who may have attempted to take photos were seriously occupied in serving their country overseas. 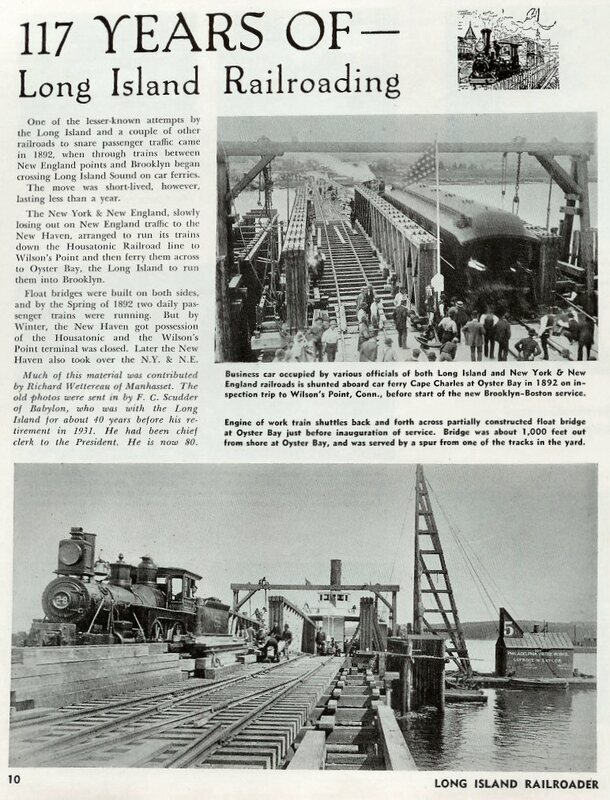 Passenger Ferry Service from Oyster Bay, NY to Wilson Point, CT. Spring 1892 two daily passenger trains. 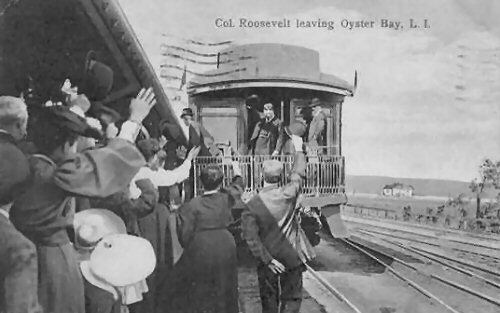 Eliminated by Winter 1893. 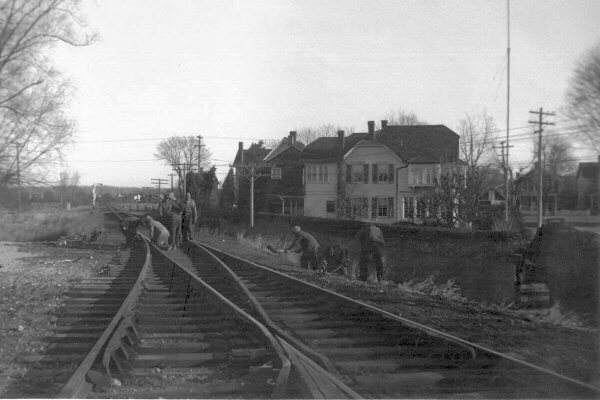 Oyster Bay table looking south. 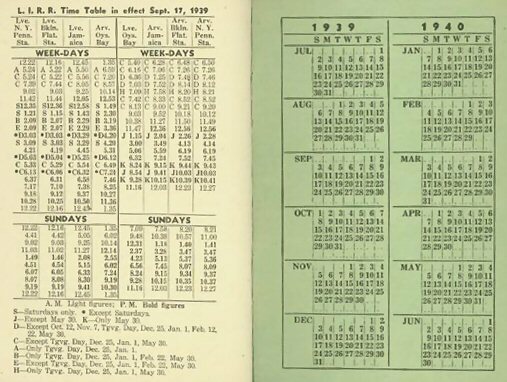 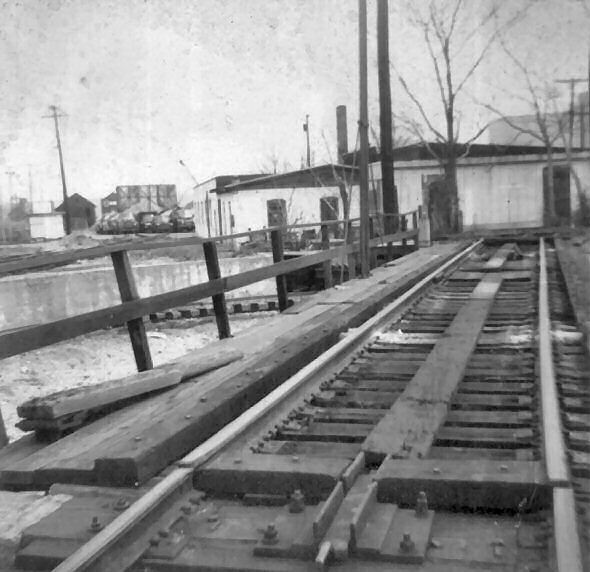 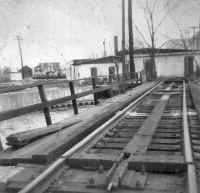 Bob Emery's branch notes indicate that the last year for REA service on the OB branch was 1960, so this photo is no later than 1960. 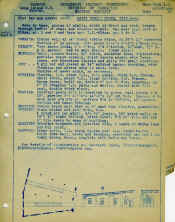 The FREEHOLDER - Fall 2006 issue. 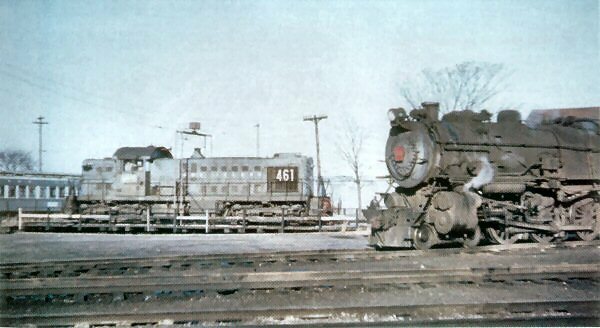 Article: "Oyster Bay Railroad Museum Brings Tourists to Oyster Bay"
Pennsylvania Railroad-leased E3sd (4-4-2) #3148 with a full tender of coal basks in the early morning sunshine as it sits coupled to a Long Island Rail Road passenger train in Oyster Bay yard, awaiting it's departure westbound into the station facilities. 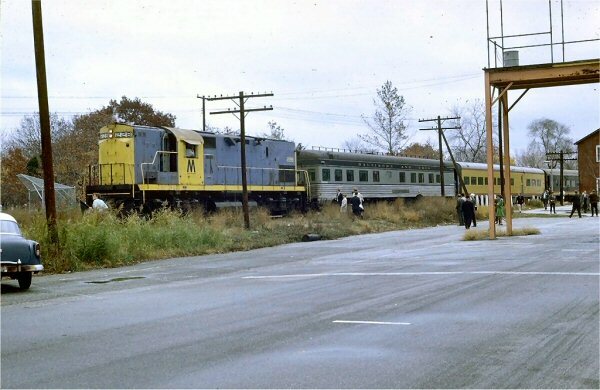 The lettering on the passenger cars in this view are all in the "Futura" style which was used by the PRR and the LIRR beginning in 1940. 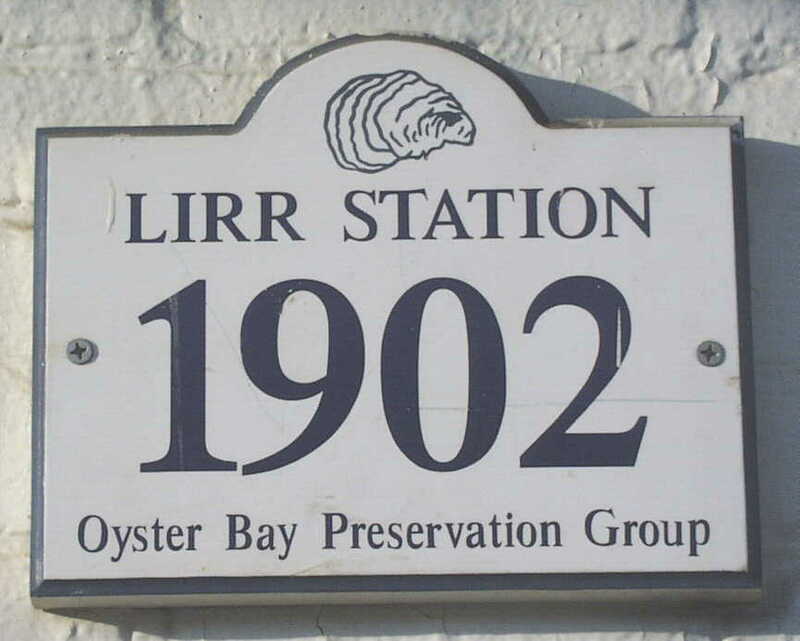 It is a block lettering / numbering with no serifs. 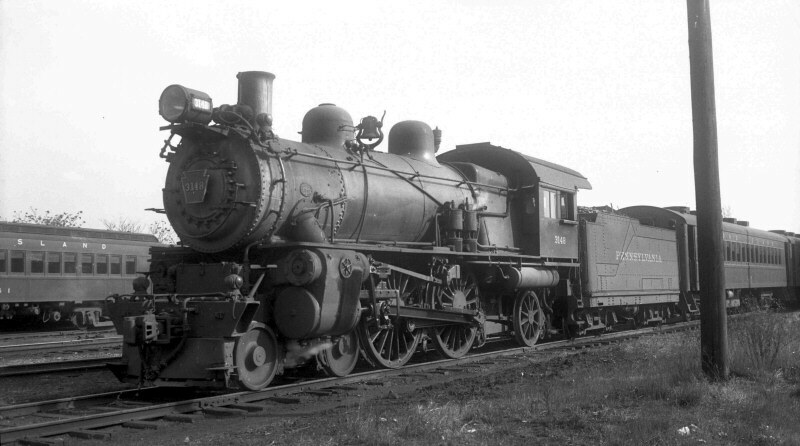 After a short period of use on passenger cars and locomotive tenders, the roads went back to the Penn Roman style. 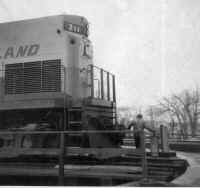 The tender in this image still sports the old Penn Roman font. 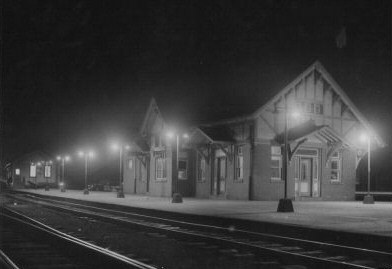 the station (west). 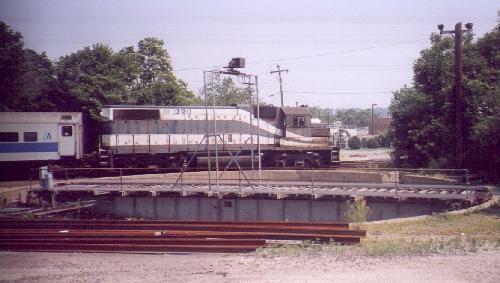 Track running across foreground is cutoff leading to the turntable. 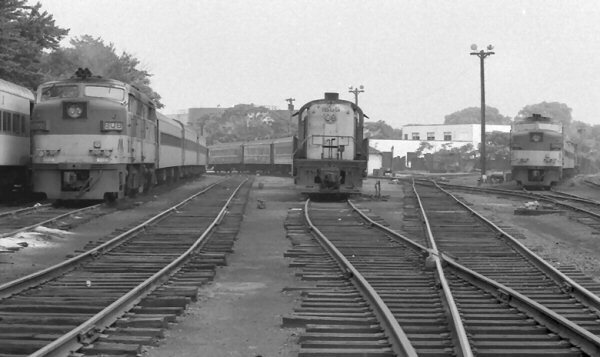 (left) is in near foreground. 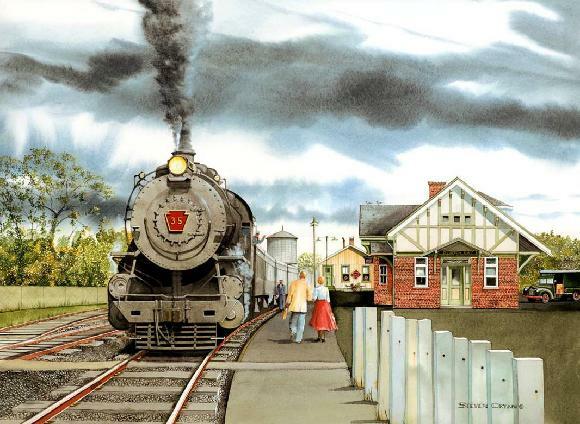 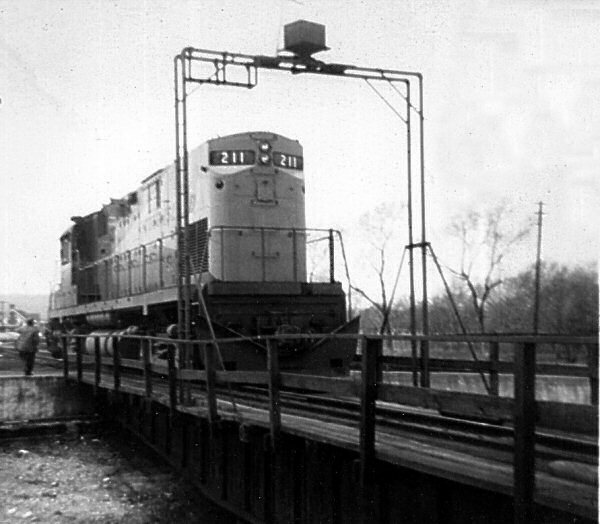 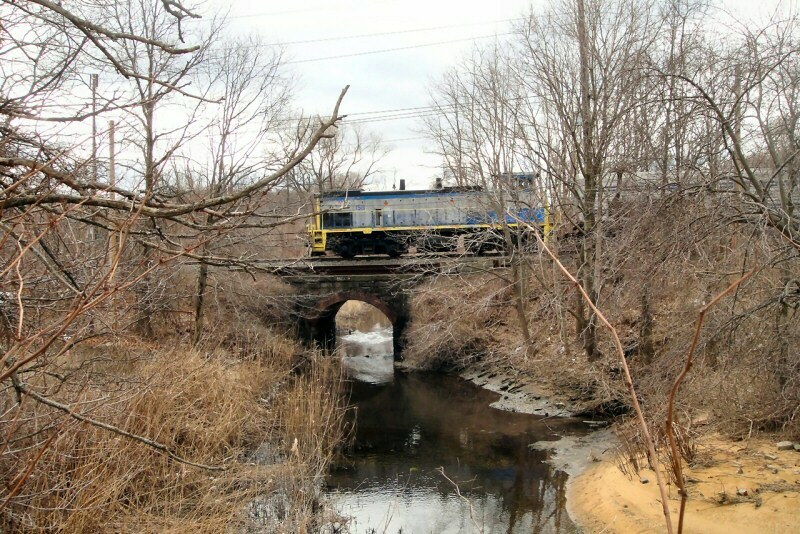 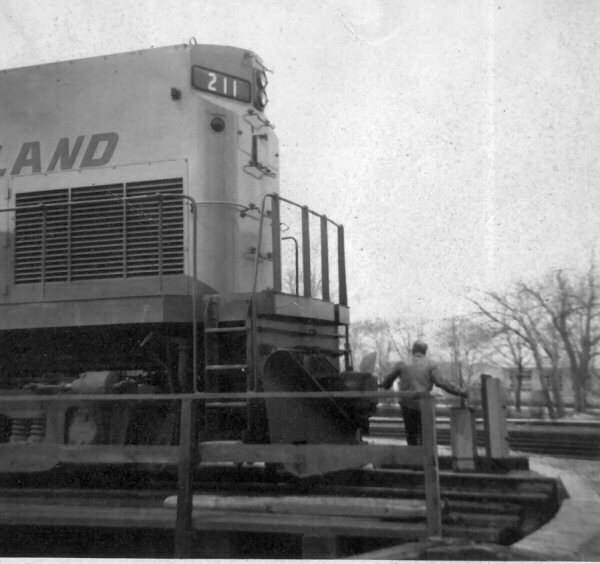 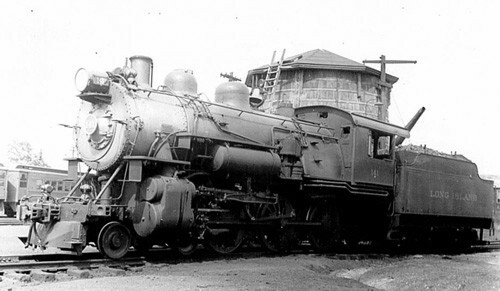 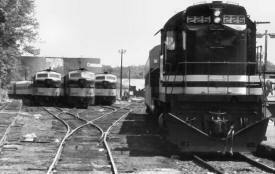 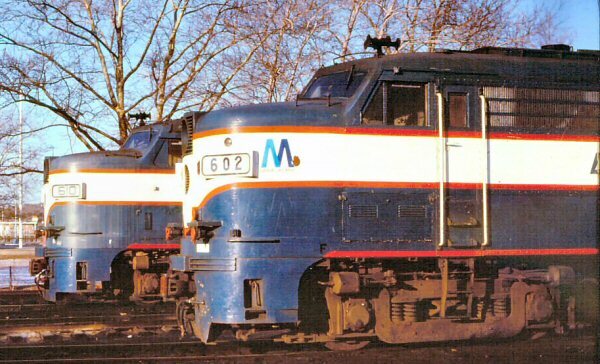 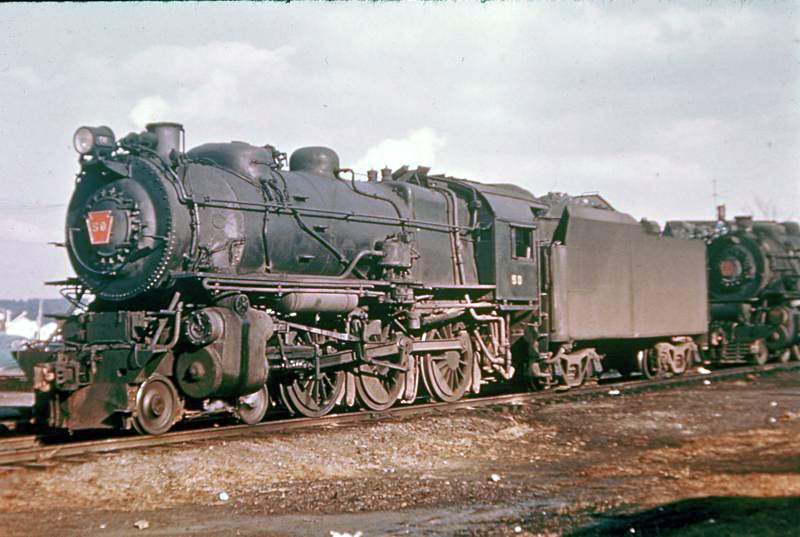 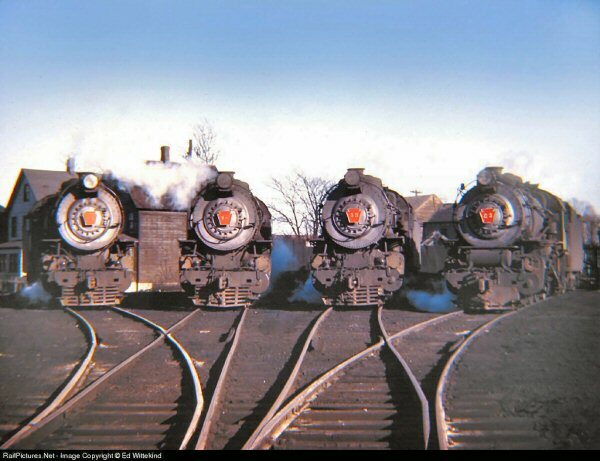 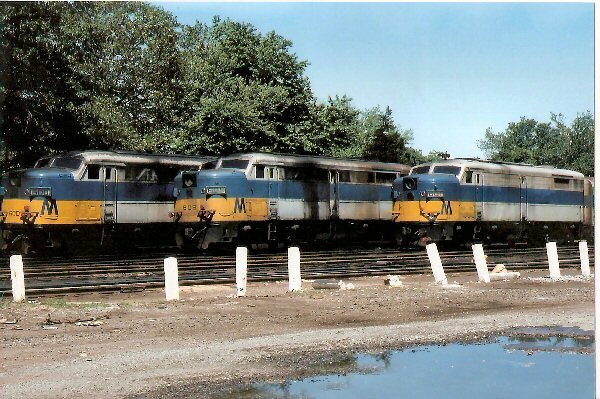 The fan trip would be 1970 or, perhaps, a year earlier, as the equipment began to appear on the property in 1968-69 and the B&O closed observation �Nappannee� (which was traded for the LIRR�s BUDD RDC2 #3121) was repainted and renamed by 1971. 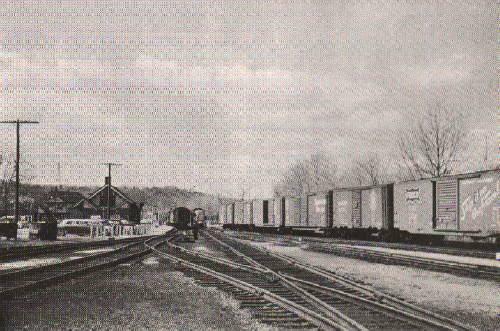 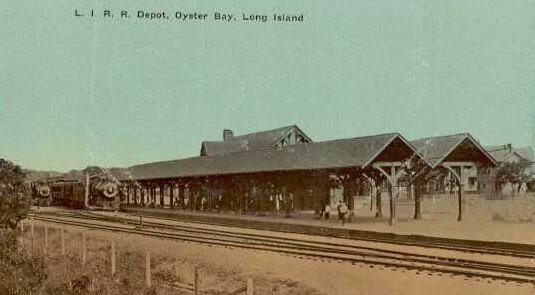 The Oyster Bay Station is actually the original 1889 structure. 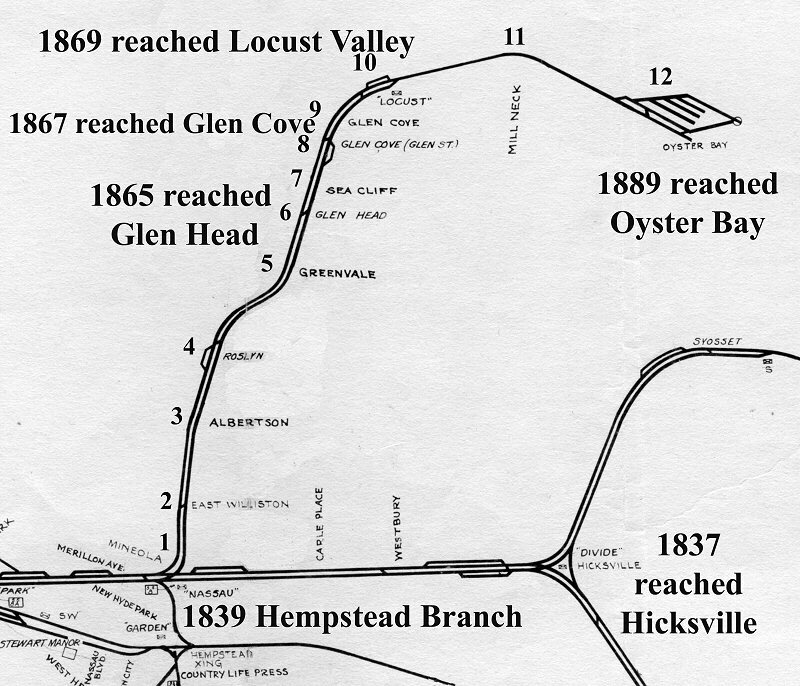 Dave Morrison and I found this information in the 1889 LIRR Annual Report. 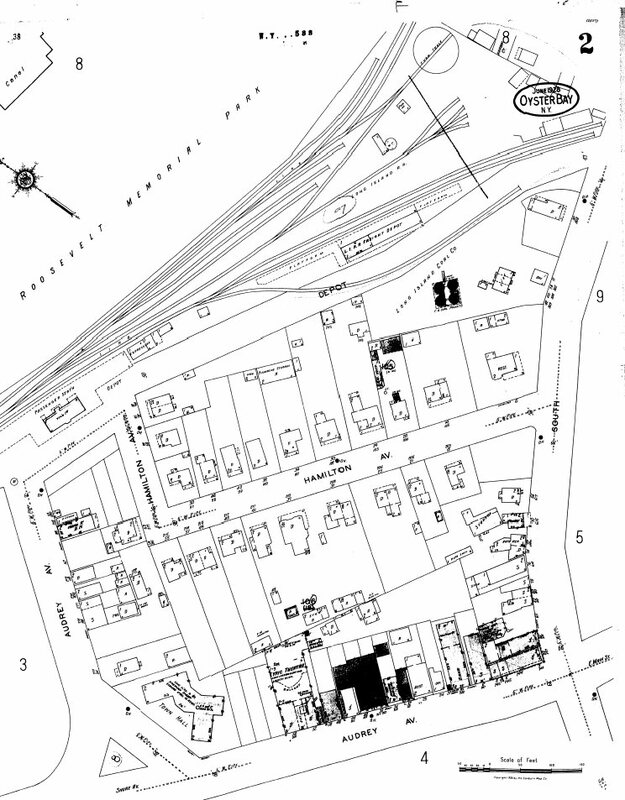 We also found a drawing of the station in a book printed for the LIRR back in the late 1880�s. 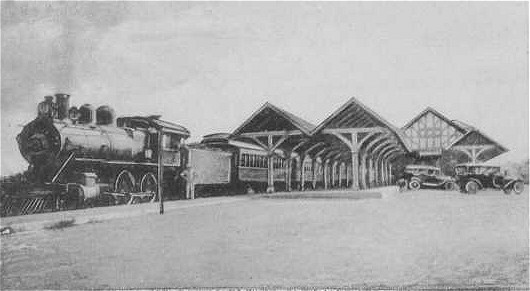 In 1902 the original structure was remodeled by the addition of the bathroom section as well as a brick fireplace on the same end. 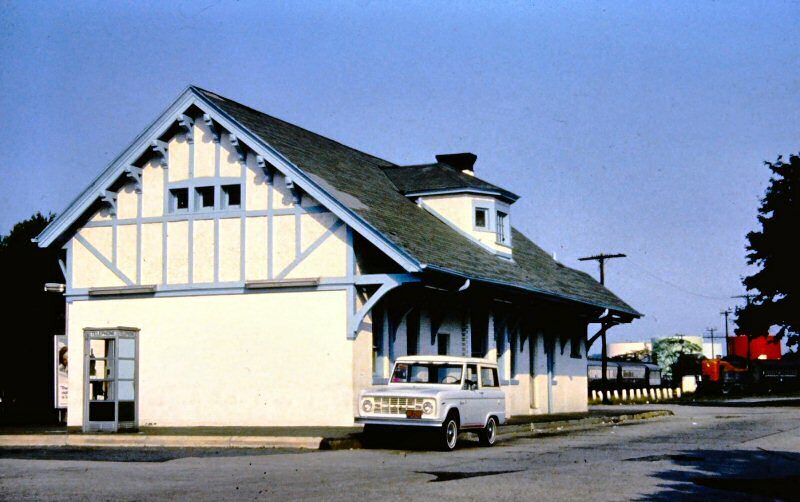 The varnished chestnut was painted over in a sea foam green color and the roof reworked. 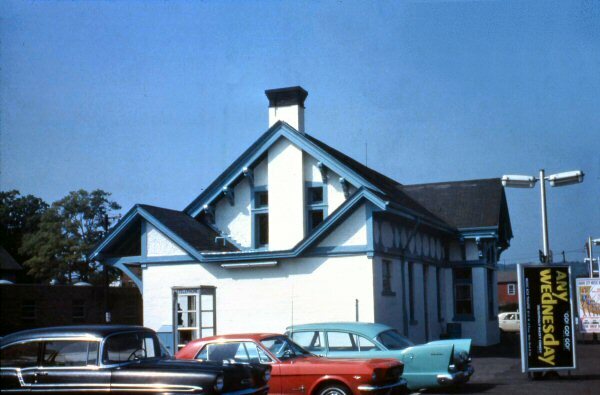 Also, all the gingerbread trim was removed as was the Porte cocher. 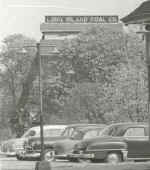 The prominent bay window on the street side was added as well. 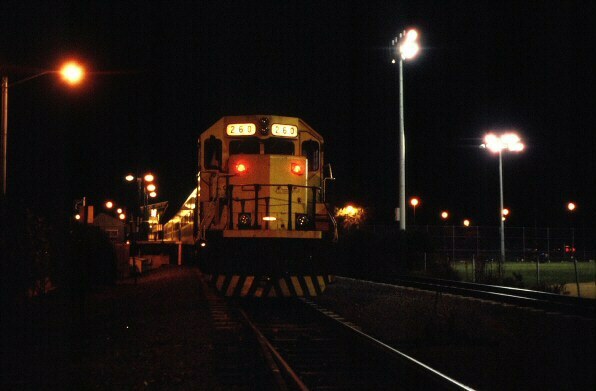 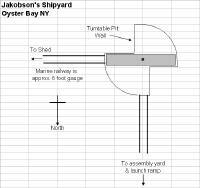 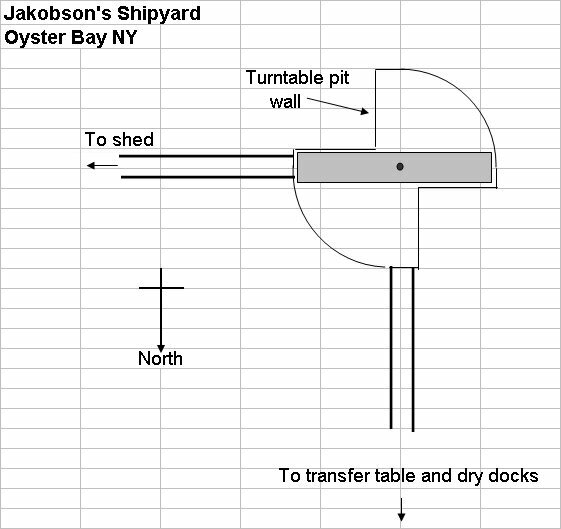 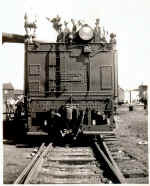 The Operator�s Bay on the track side is original to the structure. 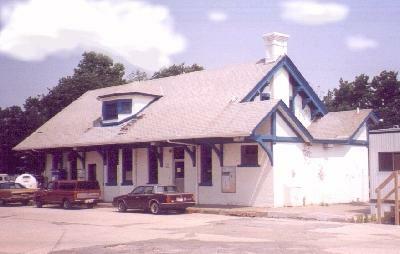 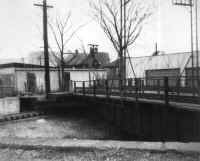 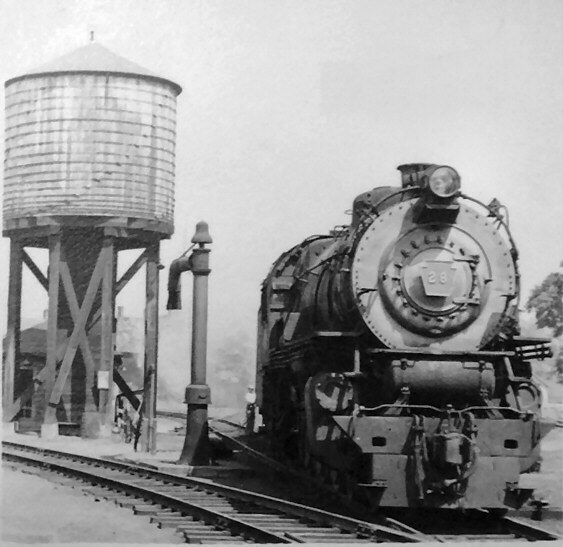 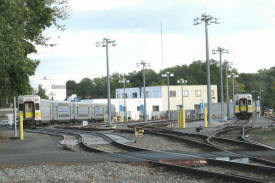 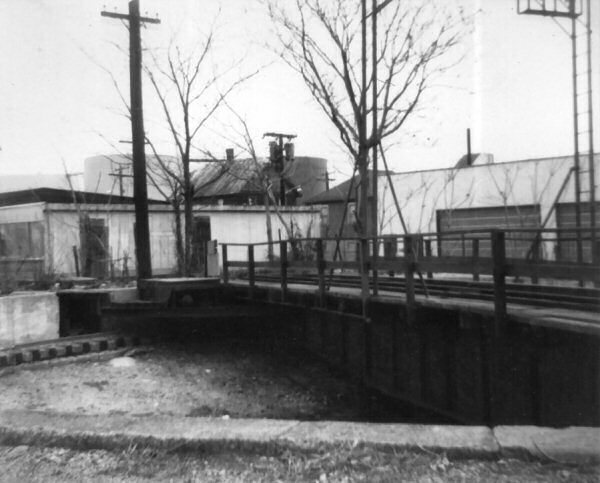 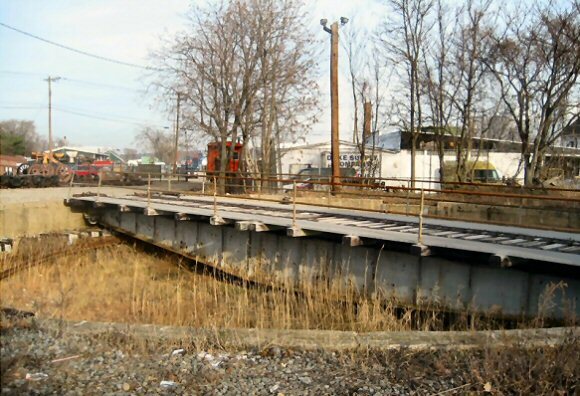 The original structure bears remarkable similarities to the Newtown Depot (East Elmhurst) which was built the same year. Compare photos form Ron Ziel�s Stations book and you can clearly see this. 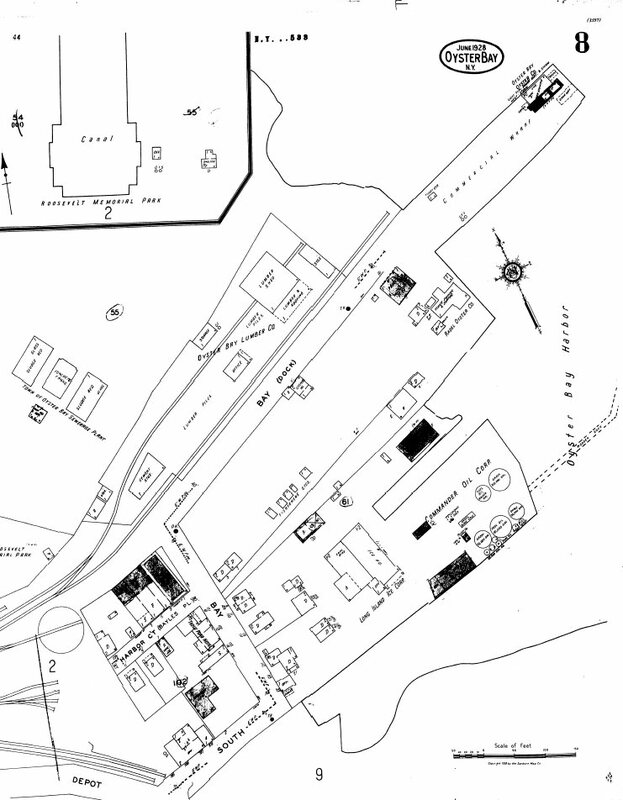 We will be doing more research at the NY Public Library on this and on the architect. 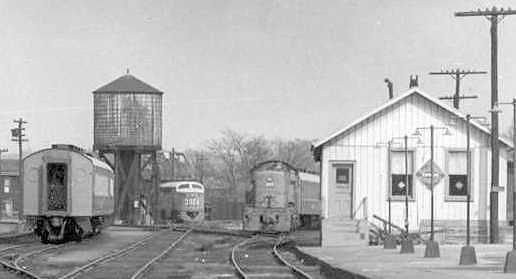 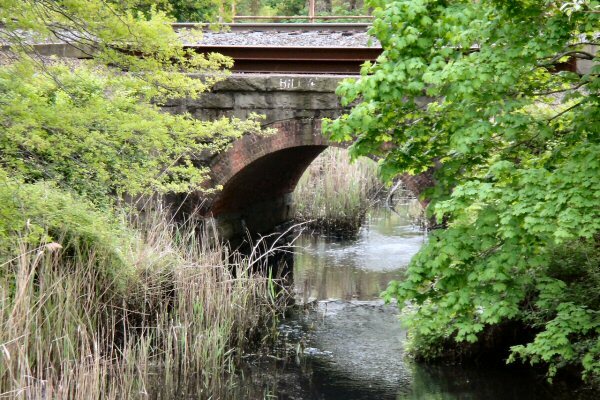 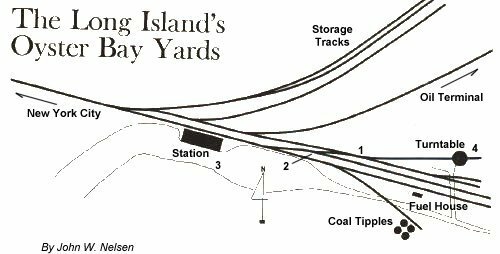 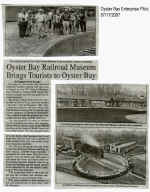 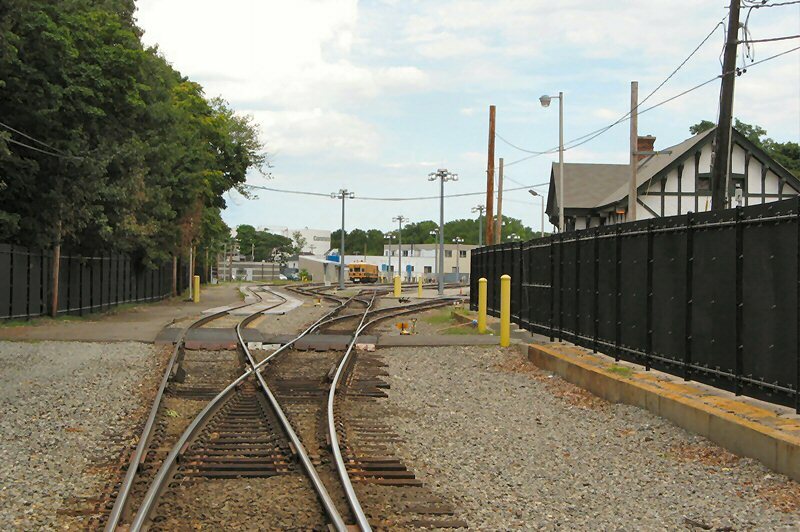 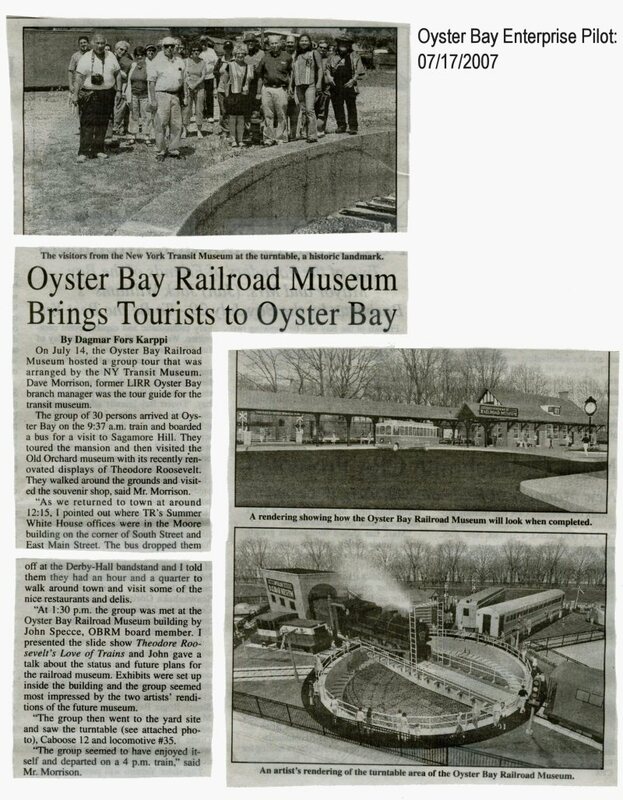 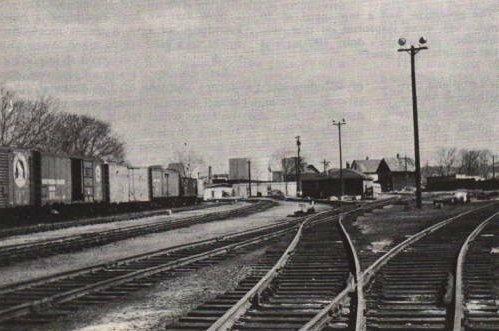 Long Island Rail Road president James Dermody Friday donated the 1889 Oyster Bay station to the town as part of the process of creating a railroad museum by 2008. 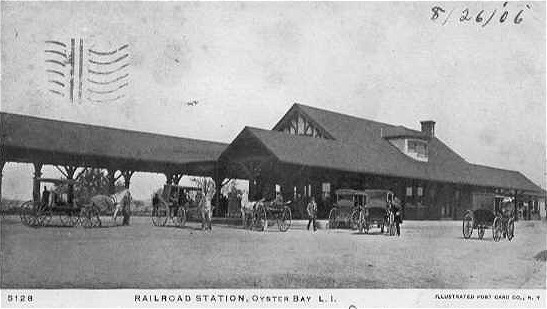 As the Oyster Bay Railroad Museum, the depot -- owned by the LIRR since it was built -- will be restored to the way it looked in 1902 when it was renovated when local resident Theodore Roosevelt was president. 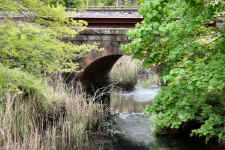 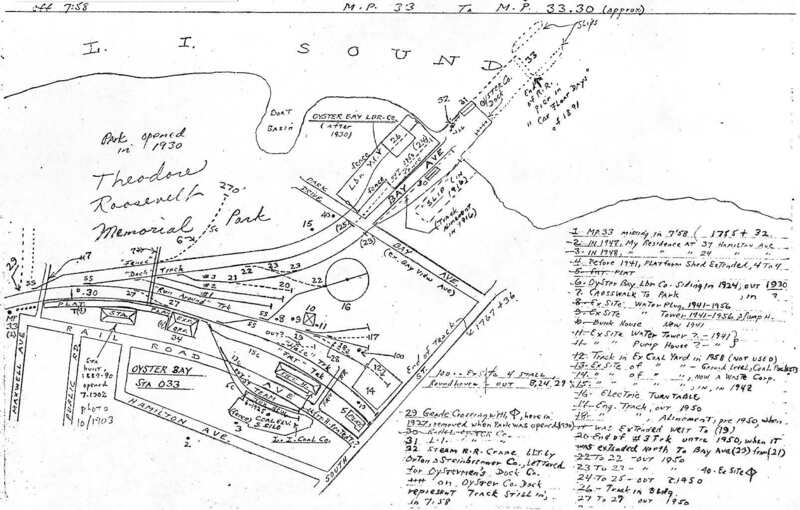 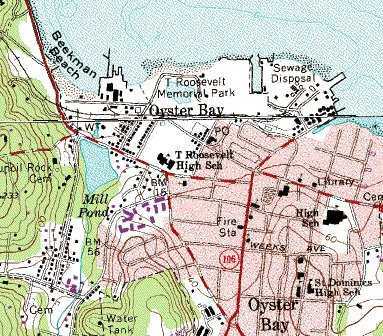 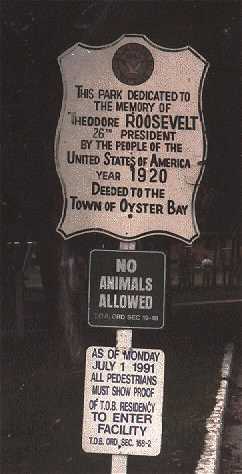 The Town of Oyster Bay now owns the building and immediate surroundings, but it will be managed by the restoration committee of the Oyster Bay Historical Society. 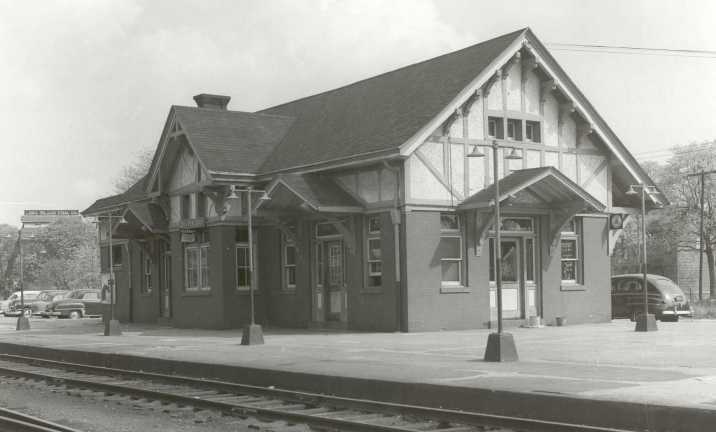 David Morrison of Plainview, the committee chairman, said white paint was stripped from the exterior bricks, wood trim was restored and painted the original Essex green, and copper leaders and gutters installed. 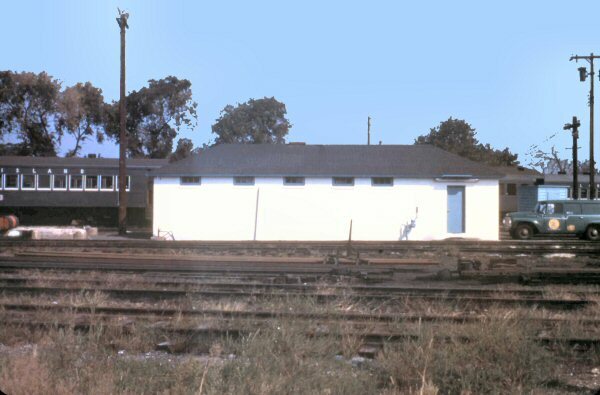 Inside, they removed the partitions and second floor that were added in later years. 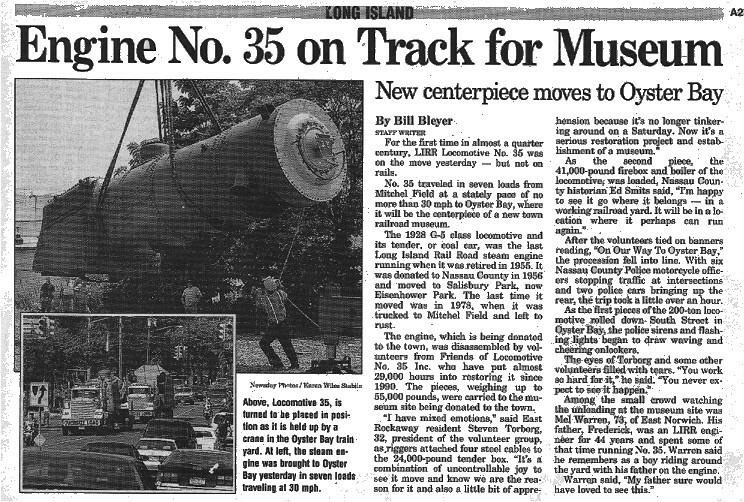 "We want to restore it to the beautiful cathedral ceiling appearance it once had," Morrison said. 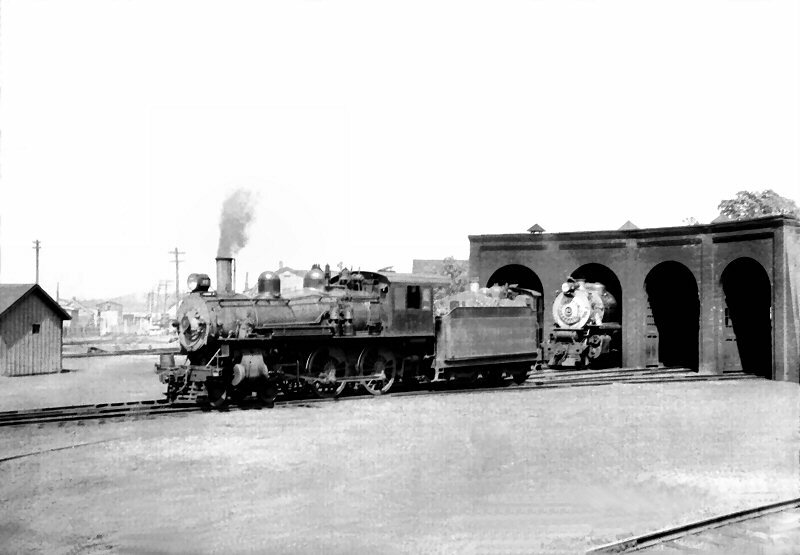 The museum will encompass the depot, the turntable that reversed steam locomotives and Locomotive No. 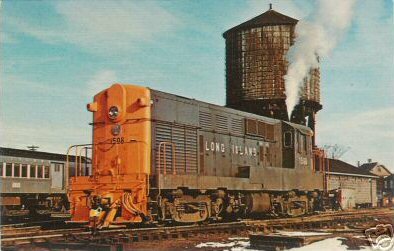 35, the LIRR steam engine that is slowly being restored by the same volunteers who have been working on the station. 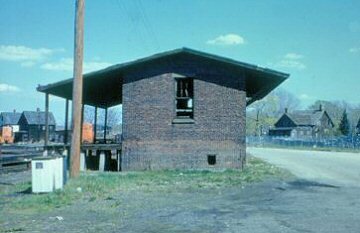 A bunkhouse in 1941 would have been either brick or wood. 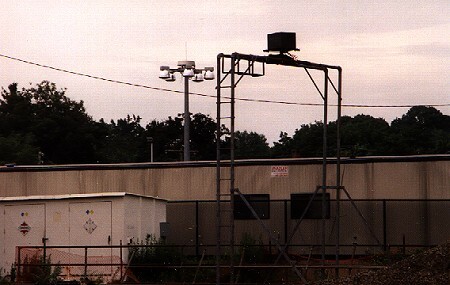 Not cement block. This, however, is a newer structure, possibly 1950s-style architecture, replacing the 1941 structure indicated on Emery�s map. 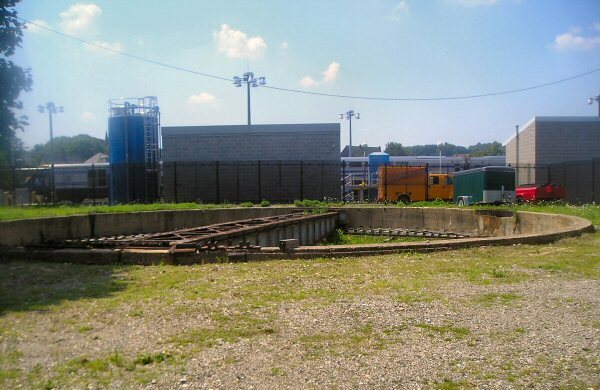 But the location is most definitely the same.